The two-story structure located at 1343 N. Laurel Avenue was built in 1923 as a house in the Colonial Revival architectural style. The building sits estate-like in the center of two large 80 foot lots. The Colonial Revival styling points to the switch from the Craftsman bungalow to the Revival preferences of the 1920’s. 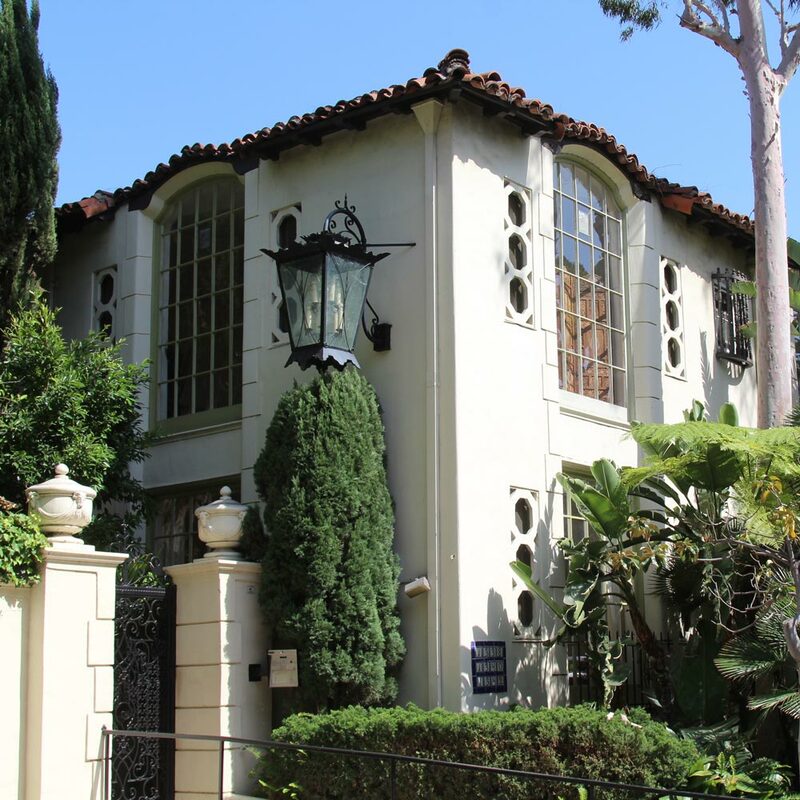 It is one of few examples of Colonial Revival architecture in West Hollywood. The 1923 single family house was converted in 1942 to a four unit apartment building. The structure, sided with wide clapboards, is set on a slightly raised foundation behind a wide and heavily landscaped setback. A curved driveway leads from the northern corner to the house. A large, low-hipped roof, with widely projecting eaves, boxed cornice and brackets, covers the rectangular building. A wide, plain frieze circles the building at the cornice line. Gabled and swept dormers punctuate the roof.